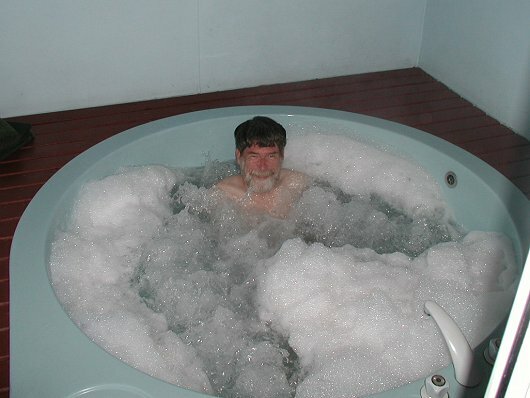 All of the Rotorua hotels had hot tubs. - Here Larry enjoys a soak. All of the Rotorua hotels had hot tubs. Here Larry enjoys a soak.